Batagaika itself struck my imagination – its size is amazing, the crack itself is perfectly exposed, uncovered, all the layers are perfectly visible and can be thoroughly studied … we can date the samples found in the lower horizon as 200,000 years. I expect that the Batagaika megaslump will continue to grow until it runs out of ice or becomes buried by slumped sediment. It’s quite likely that other megaslumps will develop in Siberia if the climate continues to warm or get wetter. 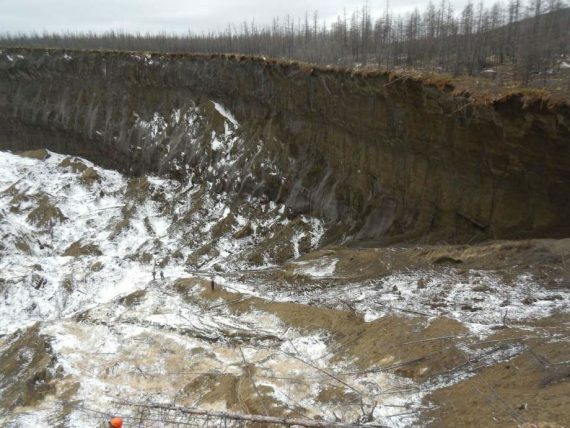 If we can understand how the landscape was altered then, it helps us to anticipate what may happen to Siberian permafrost terrain in the next centuries.